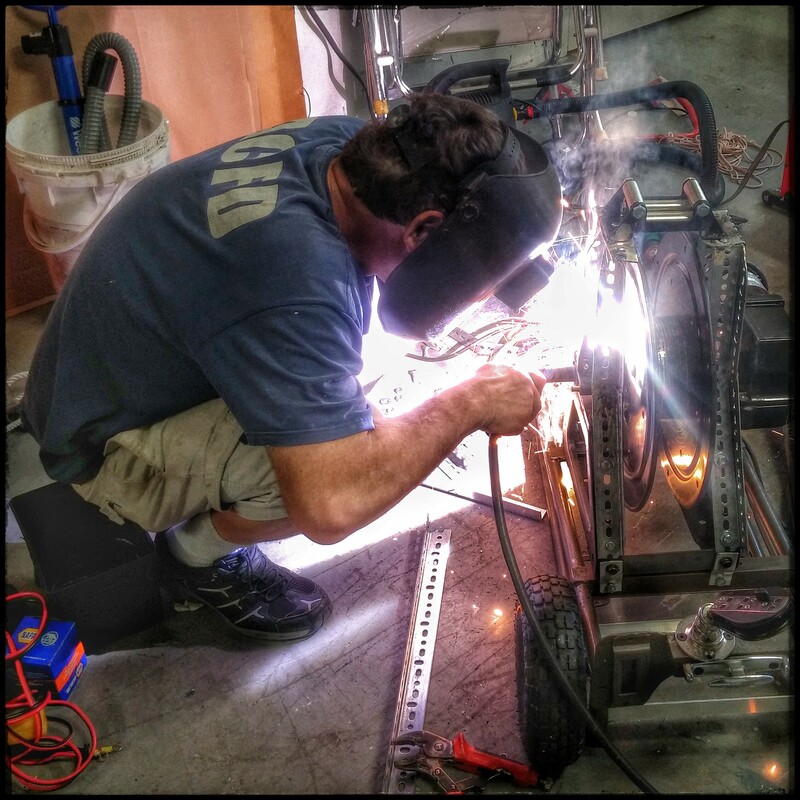 DDIS craftsman Tom Saulnier welds on a 360 degree fairlead roller system. This allows unattended surveillance balloon launches regardless of the prevailing wind. The design, based on over 100 sketches by Curt, includes a 12 volt motor with 12 to 1 torque . “This next generation portable winch should help us safely loft the tethered balloon payload to 900 ft from NYC rooftops or from the tow boat. I’m glad we are leaving a manual override handle since the pleasure of most flights is the joy of feeling the wind power in your hands” . The new design will be tested on the Zodiac boat “Winds Aloft” above Pohick Bay this Summer.